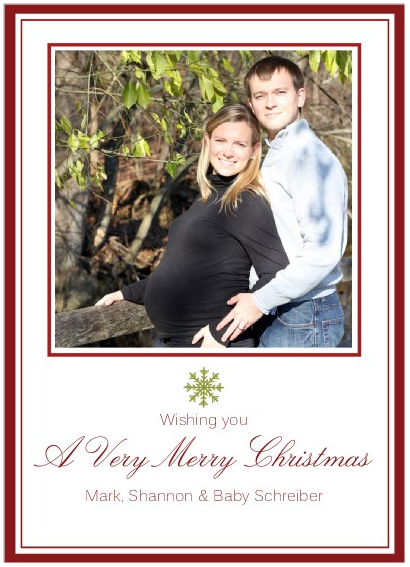 With a due date in early January, Mark and I decided that a baby bump on our Christmas card is a MUST! Typically we go the homemade card route because I like to get all crafty, but this year presented special circumstances. Here are a few cards we like...but NOT the card we chose! To see the final product, you will have to wait for good old snail mail. How cute! 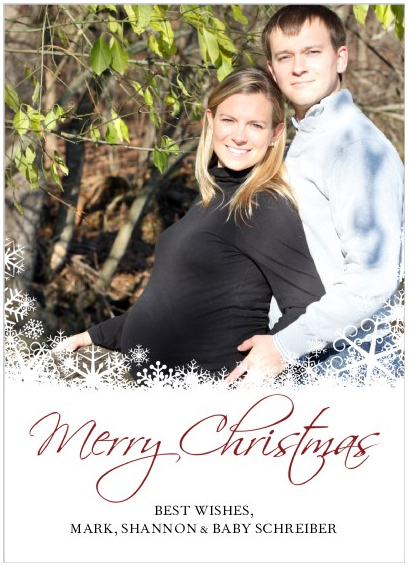 Well, the picture is beautiful and will look good on any card. My favorites are the first one and the last one. Can't wait to see which one shows up! i love the first and last one, too! ps. you 2 are the cutest couple ever. 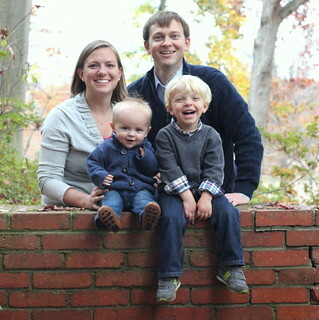 i love you both! i like the bird one! 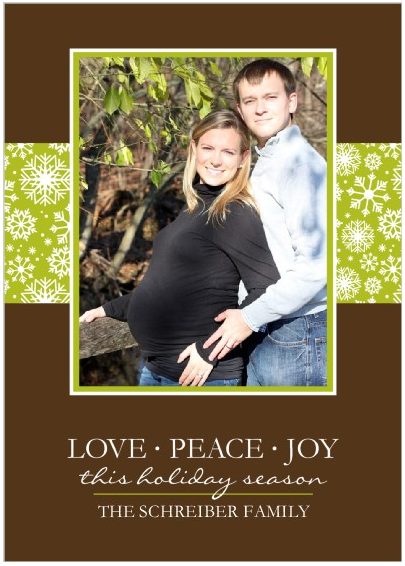 and dont do the snowflake one- it hides some of the baby bump! 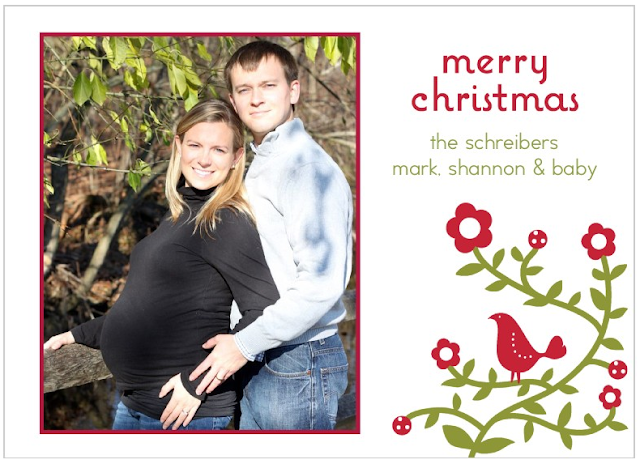 I think I like the Christmas Birdie design the best. 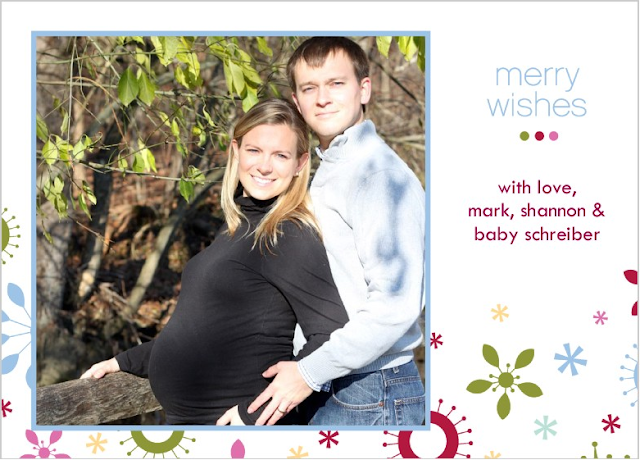 It's not too over-the-top baby, but has enough whimsy to give the card some character. Oh I love this idea! I have heard that first baby always has a ton of cute newborn clothing because of the excitement of having the little child. Aww.. It makes me want a baby right now!